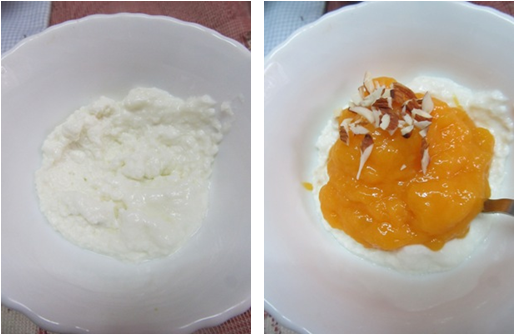 Use a fine mesh strainer like sieve (called as “jalleda” in telugu ) place yogurt on a sieve and leaves 30 mins or until the excess water has drained away, keep in refrigerator with cover. 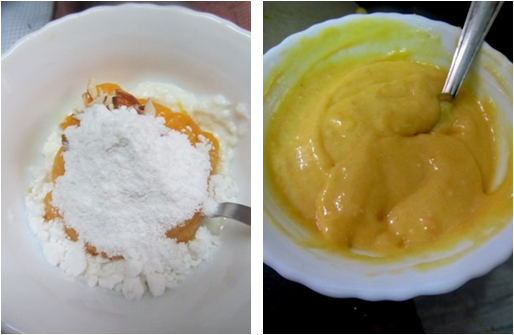 Wash peel and chop mango into small pieces and set aside, grind sugar along with elaichi pods into a fine powder. 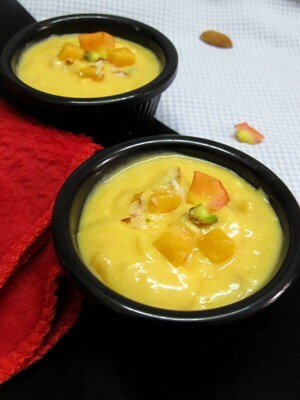 After that take out from the fridge and place the yogurt in a mixing bowl, add chopped dry fruits, mango puree and mix. 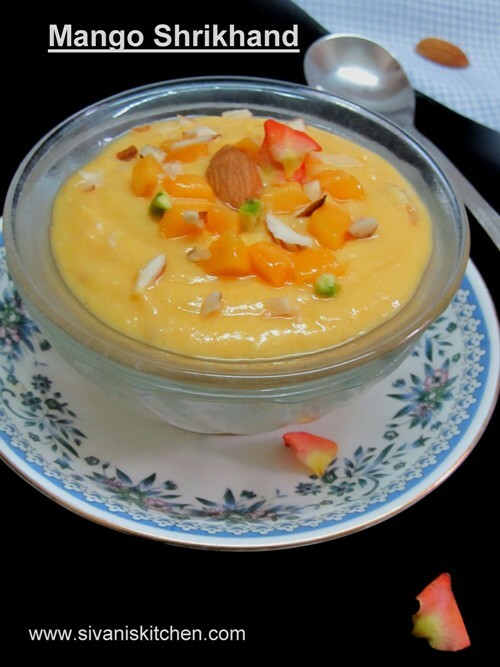 Finally add powdered sugar and mix all the ingredients are thoroughly combined, now delicious dessert, summer dessert mango shrikhand is ready, garnish with chopped dry fruits, chopped mango pieces and serve immediately.